It blows my mind that I have already spent two weeks in Valparaíso, Chile. The time has flown thanks to my wonderful host family and my extremely colorful walk to class. Living in the middle of the city of Valparaíso – commonly referred to as Valpo by the locals – has introduced me to many unique experiences and allowed me to immerse myself in a culture brand new to me. Every morning, I am awakened by flocks of birds chirping as they fight for their food and by hordes of locals shouting as they sell any and every item you could possibly need. My walk to PUCV, the university I am attending while here in Chile, takes a short five minutes and covers only three blocks of the city, but it always feels as if I am walking through a whole new world. Culture overwhelms me from the moment I step out of my door as street vendors approach me continuously, shouting the names and prices of random items they hope to sell, to the end of my first block. Cultural encounters continue as I move to the second block of my journey to school, which is by far my favorite. This block consists of tables and tables showcasing mounds of shiny, ripe, and juicy fruits and vegetables. As I walk, everything around me becomes a blur of yellows, oranges, reds, and greens. The area teems with life as people hustle to complete their early morning shopping. Here in Chile, it is tradition to buy only enough for two days maximum so that the food is always fresh (quite the opposite of most American families who shop to fill their fridges for weeks at a time). 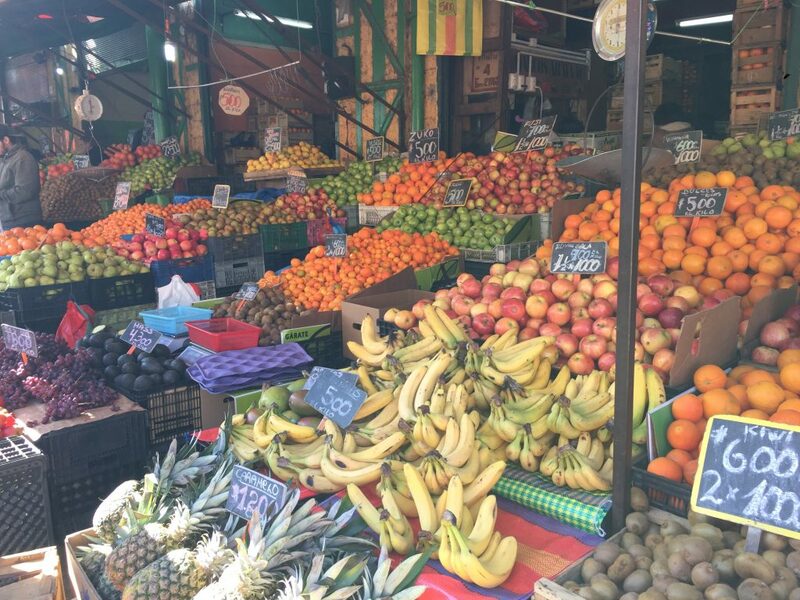 The sunlight reflecting the vibrant colors of fruits and vegetables, the scents of fresh food, the shouts of local Spanish-speakers, and the feeling of Chileans hurriedly brushing up against me are some of the strongest sensations I experience as I attempt to scramble through the crowd. I eventually break through the masses and begin walking my third and final block. The final block is flooded with college students passing time with friends between classes, soaking in the sun and breathing in the fresh air. 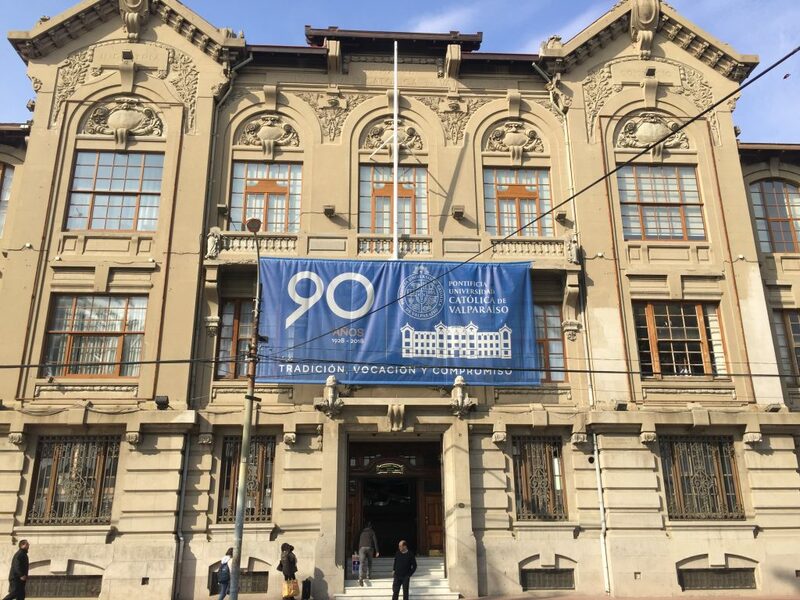 I continue forward, approaching what seems to be an ancient castle, and find myself arriving at the beautiful Pontificia Universidad Católica de Valparaíso. The single building before me is the home of knowledge. Of growth. Of challenge. Of opportunity. It is a place that has already challenged and encouraged me in so many ways, and I know it will continue to do so.